Poor oral hygiene can create dental issues such as tooth decay, cavities, abscess and infections and so on. Avoid this by adopting a preventative approach towards dental care. You can make small changes in your daily routine to experience improved dental hygiene and prevent future maladies. Brushing twice a day won’t yield optimum results if not done correctly. Practising the right brushing technique is the first step to ensure the best dental hygiene. Place your brush at an angle of 45 degrees against your gum line. Brush your teeth with an up and down motion in short strokes. Next, move the brush back and forth on the outer, inner and the chewing areas of your teeth. Avoid brushing too hard as it can scrape off the enamel on your teeth. Also, make sure that you spend at least two minutes brushing your teeth daily. Flossing helps clean the crevices between your teeth that are otherwise difficult to reach with a toothbrush. If you haven’t been flossing, start now by using this simple technique. Take about 18 inches of floss and wind the ends around your middle and index fingers. Hold the floss tightly between your thumb and forefinger and gently slide it between your teeth. When you reach the gums, curve your floss in a C shape across your tooth and slide it in the space between your tooth and gums. If not cleaned regularly, the tongue can foster odour causing bacteria that can lead to bad breath. Use this simple method to clean your tongue and freshen your breath. Brush the top surface of your tongue gently with a small amount of toothpaste. Reach to the back of your tongue and move your brush forward progressively. Finish with a rinse of water. Further, it is recommended to clean your tongue whenever you brush, which is ideally twice a day. While it may not be possible to avoid them completely, you can try to limit the amount of sugar you consume every day. The bacteria in our mouth break down sugar which produces acids that can damage the tooth enamel and cause tooth decay. Also, avoid carbonated drinks as they can raise the acidity levels in your mouth. A healthy practise is to switch to dairy products that are low on fat and replace sugary foods with fresh fruits such as oranges, pineapples or melons. Last but not the least, it is recommended to visit a dentist at least twice a year. The dentist will examine your mouth for any existing conditions by enquiring about symptoms and performing an X-ray if required. With regular check- ups, it is also possible to detect early signs and prevent any impending dental ailments from occurring. Several patients visiting Dentzz have been highly impressed with the preventative approach adopted by our dentists, thus controlling their condition at an early stage. Oral health care shouldn’t be confined to brushing twice a day and avoiding sugary food. Our experts at Dentzz say that in order to keep several oral problems such as plaque, gingivitis and periodontal disease at bay it is necessary to adopt healthier habits. Calcium and vitamin D play a vital role in supporting the structure and making your teeth and bones stronger. Both calcium and vitamin D can be easily found in several foods and including them in your diet can do wonders for your teeth. We have heard infinite stories about milk and its benefits all throughout our childhood. There’s a reason doctors and dentists recommend daily intake of milk. 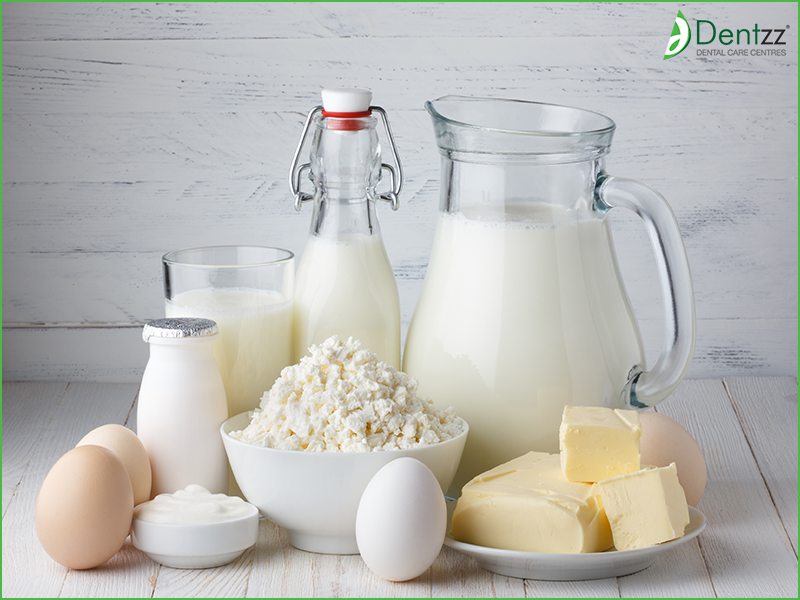 The high calcium and vitamin D content present in milk is essential for stronger bones and teeth. Although eggs contain only a minor portion of vitamin D required by your body, they are one of the fastest ways to get it. Only eating egg whites and ignoring the yolk won’t help because all the vitamins are present in the yolk. 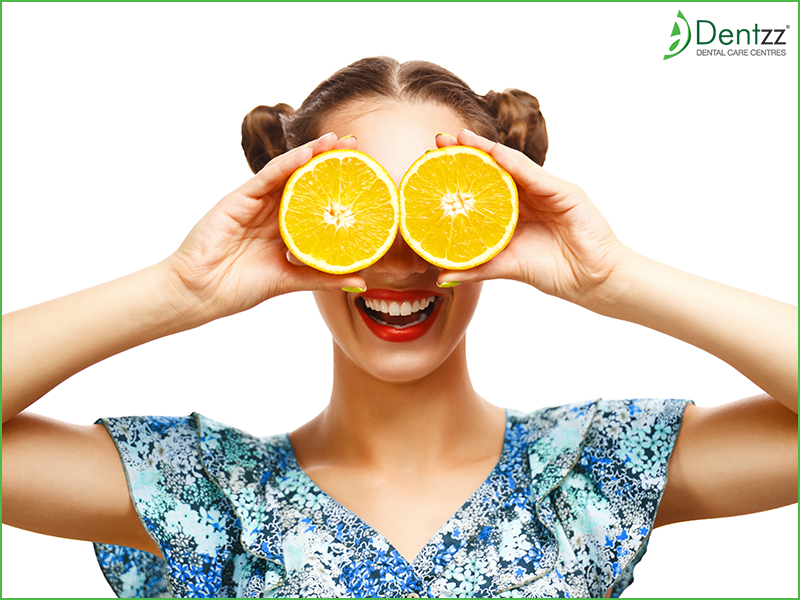 Citrus fruits like Oranges are packed with vitamin C which helps in keeping the gums healthy and the connective tissues strong. Apart from supplying small amounts of vitamin D to your body, cheese also releases calcium in your mouth which protects your tooth enamel. However, ensure that you consume it in moderation. Cranberries are rich in anthocyanins that interrupt the formation of oral bacteria before they turn into damaging plaque. Vegans and lactose intolerant people can get their dose of calcium from Popeye’s favourite leafy vegetable. One serving of spinach can supply 25% of the total calcium required by your body in a day. Apart from calcium it is rich in iron, fiber and vitamin A. Medical tourism encompasses a number of other terms including surgical tourism, health tourism, dental tourism and medical travel among others. This exciting idea of getting medical treatment along with the opportunity to explore a new country has been gaining favour across the globe with surprising speed. This is one of the reasons why people all across the world are crossing geographical borders to seek health care in a foreign country. When it comes to India, dental tourism is the most popular form of medical tourim; our experts at Dentzz treat hundreds of patients every year who come from various parts of the world, especially the USA and UK. 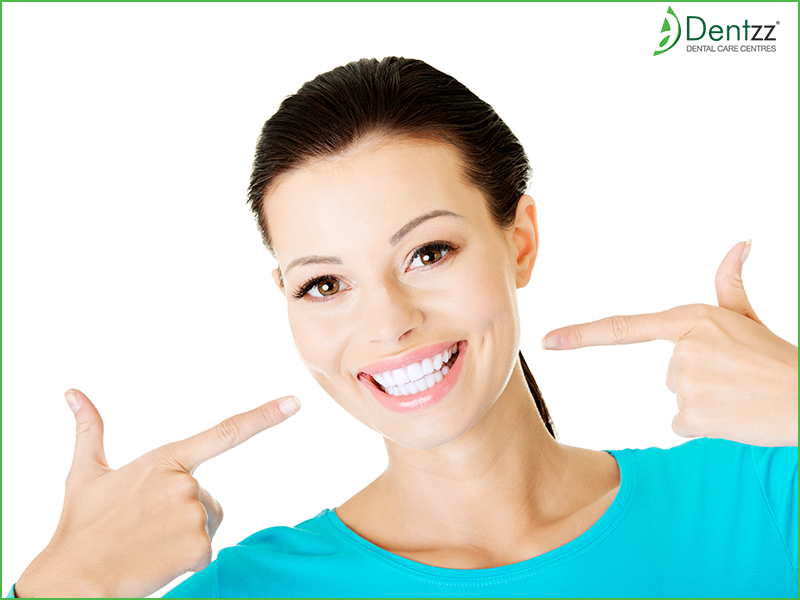 Dentzz is the preferred choice of a number of visitors because of the many benefits we offer. Read on to find out what they are. One of the many reasons why dental tourism became a popular concept is because dental treatments are expensive and a time consuming process in most countries. However, top dental tourism destinations offer excellent services at competitive rates. A number of factors in India allow us to provide exceptional services at the best rates to all our patients. Our team of dentists have received their degrees from some of the top dental institutions around the world. They have years of hands on experience and have practiced at some of the best dental clinics in India and therefore are acquainted with the latest treatment procedures in dentistry. Our dentists and dental surgeons are renowned for their exceptional services; take a look the reviews to know more about our services. All our centres are equipped with state-of-the-art technology and advanced equipment which sets us apart from not only the several other clinics in India but also abroad. This ensures that all our patients receive a hassle free experience. Our dentists create a custom made plan after taking a look at the oral condition and then decide what treatments will be required. 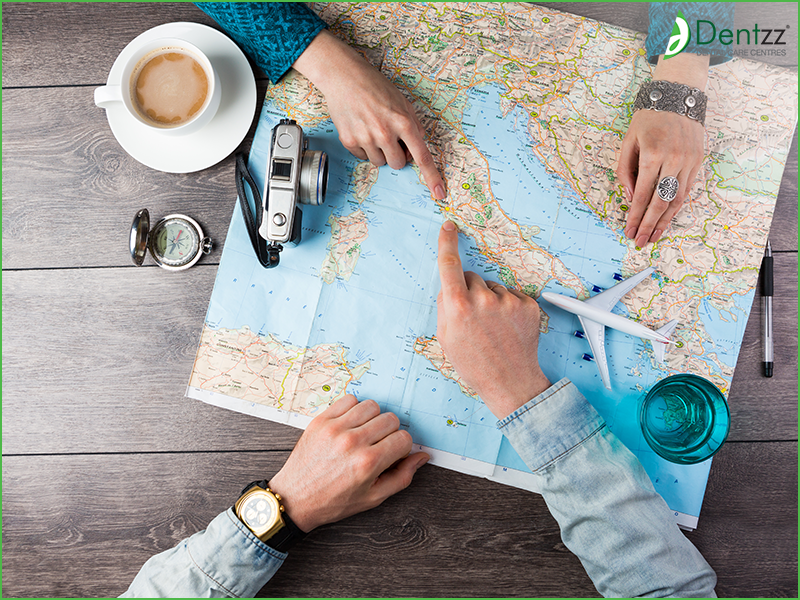 Patients who come here for dental tourism will receive a specialised plan so that they can make the most of their vacation. We ensure that the treatment is completed within the stipulated time. Although more developed countries have great dental experts, they are very expensive and offer limited dental treatment options. Our well qualified experts offer advanced treatments to tourists at affordable rates, which means they can get more than one treatment in a single visit. Our dentists and clinics are equipped to perform a number of dental treatments, including, root canal, dental implants, dentures, veneers, smile makeover, whitening, tooth extractions and much more. Missing a tooth or several teeth together due to an accident or trauma used to be a painful an embarrassing situation in the past. Thanks to modern dentistry, this problem has numerous solutions now. Apart from bridges, partials and complete dentures, one can opt for dental implants, which are comfortable and look exactly like natural teeth. Our team of Implantologists at Dentzz have received their training from various countries across the world, including USA, UK and Germany. With a success rate of 99.2% we are one of the top choice for dental implants in India. We offer single tooth replacement, multiple tooth replacement and replacement of all teeth with warranties of up to 20 years. 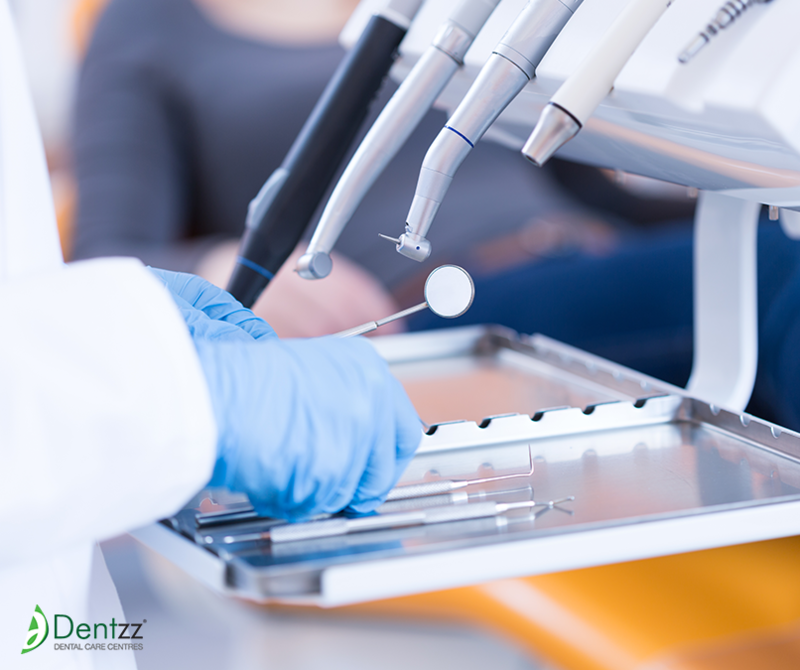 If you want to undergo a dental implant procedure, let me give you glimpse as to how it will be carried out at Dentzz. On your first visit the assigned dentist will first examine your mouth carefully. He/she will then take x-rays of your teeth, jaw and head to determine whether you’re fit for it. After designing a plan to carry out the procedure, the dentist will then take you through the whole process before starting. At the first stage, the dentist will start by inserting a dental implant into the jawbone underneath the gum tissue. After joining the gum tissue together the implant will get fixed with the bone as well as attached to the gum. This will take several months to heal, until it’s time to move on to the second stage. 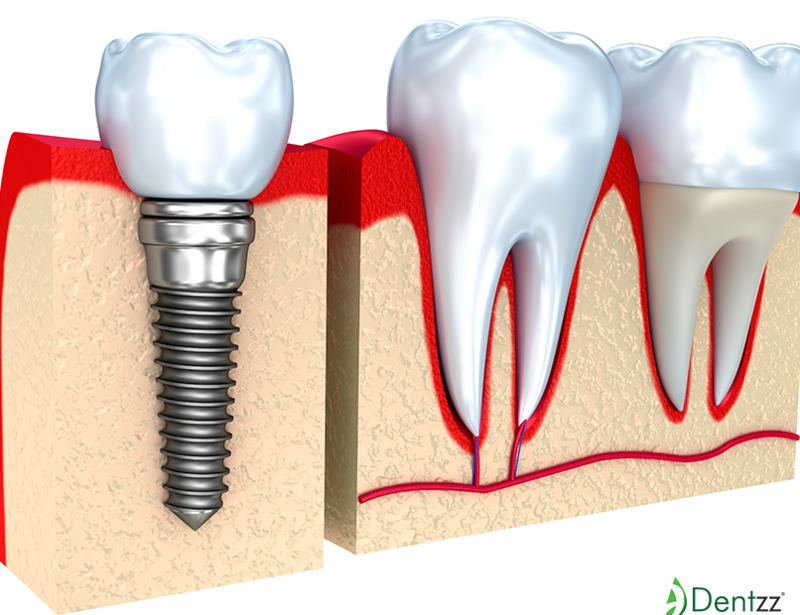 During the second stage, the dentist attaches an abutment to the implant, the abutment connects the replacement tooth to the implant. Sometimes, the first and second stage will be carried out in a single sitting. 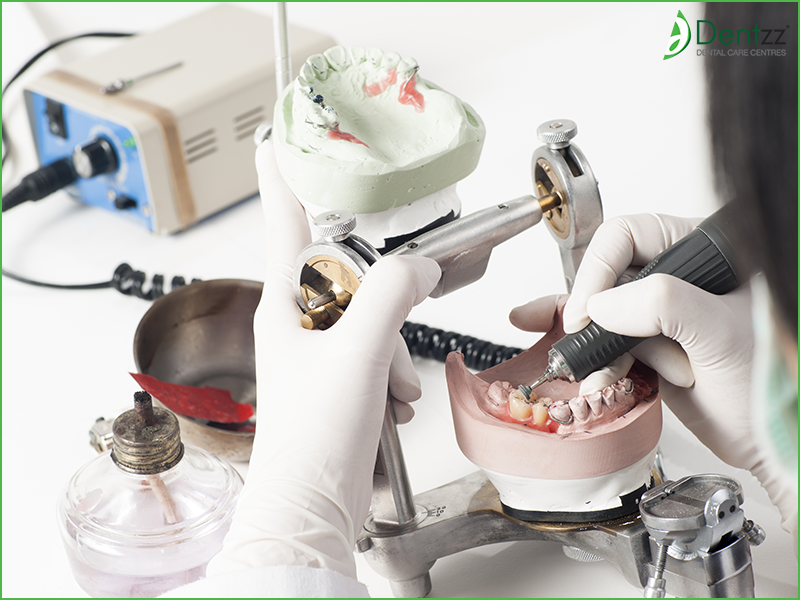 The artificial tooth made by your dentist is then attached to the abutment. Sometimes you may have to visit more than once to get the replacement tooth properly fit. When you visit us for replacement of several or all your teeth, our expert will anchor a fixed bridge on the dental implants. This bridge spans over an area that has no teeth. 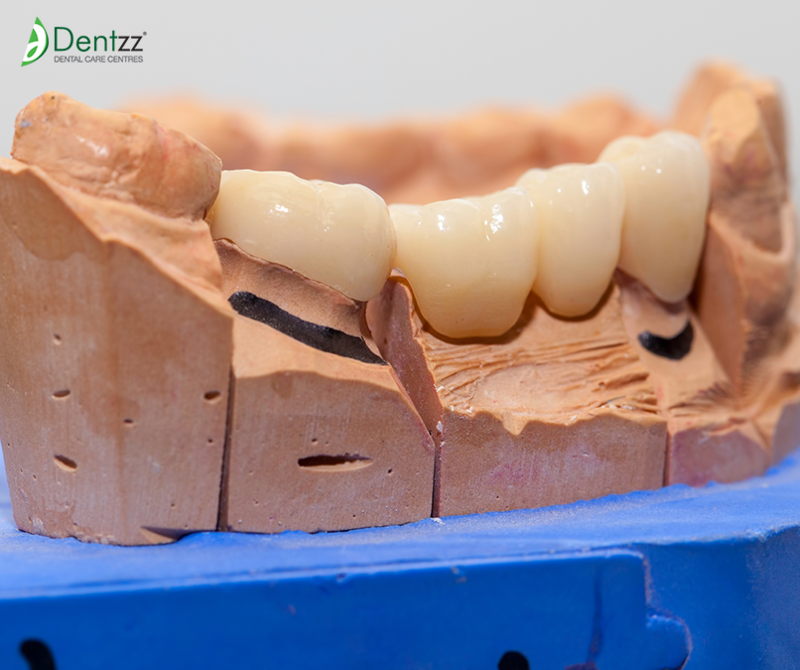 At Dentzz, our job does not end with the procedure. The dentist will show you how to take care of your implants along with proper cleaning methods. Post-surgery check-ups will be scheduled for at least a year to ensure your implants are in good condition. Call now +91 8879399289 / +91 22 43555777 to book your appointment. Patients who have multiple oral health conditions can benefit from full mouth rehabilitation performed by experts at Dentzz dental. Our numerous extremely satisfied patients are a proof of our superior service and top-notch dental techniques. Full mouth rehabilitation is a comprehensive procedure that involves several restorative treatments therefore it is recommended to visit a renowned dental clinic. It typically includes a team of dentist (to perform procedures like crowns, bridges and veneers), and periodontists (gum specialist), orthodontists, oral surgeons (tooth movements and positions expert) and endodontists (tooth pulp expert). To ensure that the gums are healthy the dentist might suggest periodontal treatments like, root planning, periodontal surgery or scaling. If the teeth are misaligned the dentist may advise expanders, spacers, retainers, traditional braces or Invisalign. Oral surgery such as soft or hard tissue grafting, root canal therapy, or extractions. Patients in need of a full mouth rehabilitation treatment do not have to look elsewhere once they come to Dentzz. Our dental specialists have practised at renowned dental colleges and institutes across the world and therefore offer comprehensive services to patients with different needs. Good dental hygiene does not always guarantee a beautiful smile. However, the necessity of a beautiful smile cannot be ignored in today’s day and age. People are increasingly conscious about how they look and this directly affects their self-confidence. Those who have discoloured or malaligned teeth are usually hesitant to smile in public and often cover their mouths when they do so. Thankfully, modern dentistry has a solution for these and other extreme problems in the form of a smile makeover. 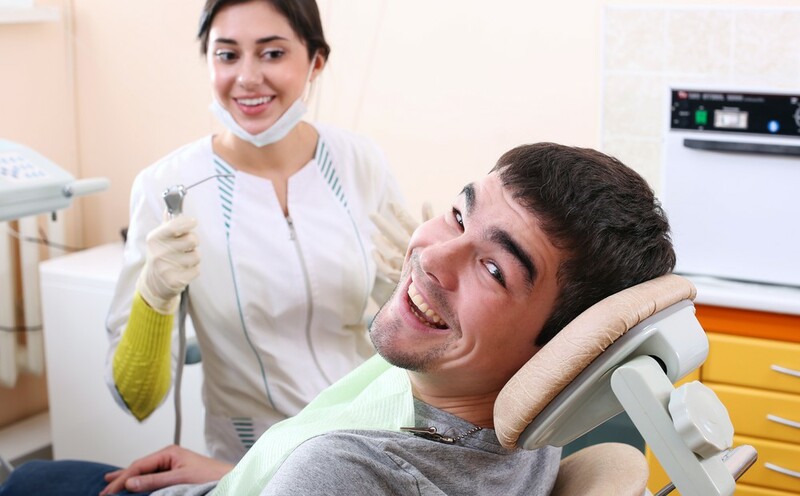 Although almost every clinic claims to offer the best smile makeover, its best to visit a trusted dental clinic when it comes to your precious teeth. At Dentzz, our team of the finest aesthetic dentists understand that no two smile makeovers are the same just like no two smiles are alike. Therefore our experts not only focus on giving you the best smile possible but also design a plan that will be easy on your pocket. Disease of the gum causes inflammation, bleeding and bad breath. It can also cause loss of tooth and jawbone degeneration if left untreated for a long time, at this stage the dentist will perform scaling and planning to correct it. Bruxism is caused by grinding of teeth, often a result of stress. Over a period of time this condition can damage your teeth and the damaged teeth need to be treated before performing a smile makeover. Filling is used not just to strengthen the damaged tooth but also to prevent the cavity from spreading. A good dentist will always check your teeth for cavities before performing a smile makeover. 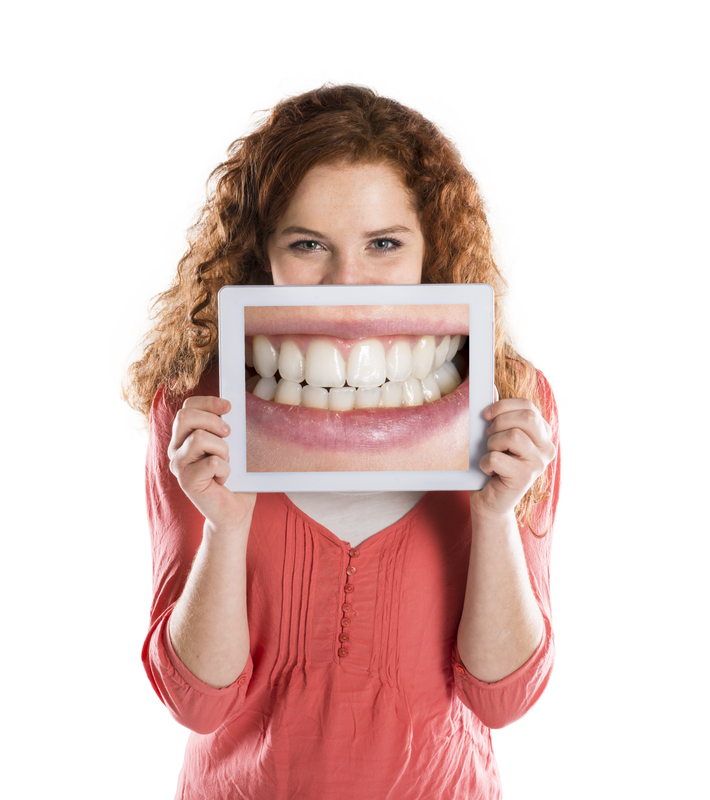 Only slight malalignments can be corrected with a smile makeover treatment. If the patient has severe malalignment, they will have to undergo orthodontic treatment. At Dentzz, our dentists are skilled at correcting all these issues. When you visit Dentzz for a consultation, our dentists will check your mouth thoroughly and give you precise details about the treatments you require. Only after providing you with all the relevant information do we proceed to initiate treatment. Our unique approach to dentistry ensures that anyone who visits our clinic leaves with a happy, satisfied and sparkling smile on their face. Research has shown that taking care of your teeth can save your life. Not quite metaphorically, it literally acts as a caution against major diseases thus taking the first step towards saving your life. The bacteria in the teeth and unhealthy gums can cause platelets in the blood to form clots which in extreme cases could result in a heart attack or stroke. Generally the most commonly ignored symptoms to some of the diseases, build slowly and steadily in the mouth. While this comes across as a very easily ignored common phenomena among most adults, it can be an indication towards greater health problems. This can be an indicator of blood disorders. Starting to floss daily and brushing twice a day is the simplest way to deal with bleeding gums and pale teeth and transform them into strong gums and healthy teeth. In lay man terms a frozen jaw is when your jaw gets stuck while you are eating or talking or doing anything else. Sometimes this could cause bone loss in the lower jaw. This bone loss could be an early indicator of skeletal osteoporosis. Basic exercises of the jaw help with a frozen jaw. A frozen jaw might also occur because of a small jaw in which case you could opt for an extraction and restructuring treatments for your teeth to give space to new teeth. This is less of an indicator and more of a direct cause for various digestive and intestinal diseases. Inflammation in the mouth secretes certain enzymes that corrode or spoil the food we eat and thus cause stomach disorders. It is also coupled with fever sometimes. Consult with a dentist when this occurs and they might prescribe over the counter creams or tablets which would temporarily sooth the inflammation and improve dental health. There are certain diseases that cause severe oral health issues. Diabetes and Cancer deteriorate oral conditions and cause severe gum problems and a degradation of the overall health of the teeth and mouth. AIDS also is another such disease. Not only does it cause bad dental health and severe dental problems but AIDs itself can also be caused by oral infections. Most diseases that are caused or are the cause of various other diseases, start in the mouth. So it is very important to consult an experienced and skilled dentist as soon as you notice any dental health issue as it might just be your body communicating other larger health concerns to you. Your mouth could be your personal health indicator as long as you are alert and learn to heed the signs. If you notice any of these signs call and book an appointment with Dentzz today and put all your worries to rest. You may have heard of how cancer affects different parts of the body such as the lungs or breasts. Apart from this, you also need to know how cancer can also occur in the mouth, where the disease tends to affect the lips, tongue, cheeks, and throat. Cancer is termed as the uncontrollable growth of cells that invade and cause damage to surrounding tissue. 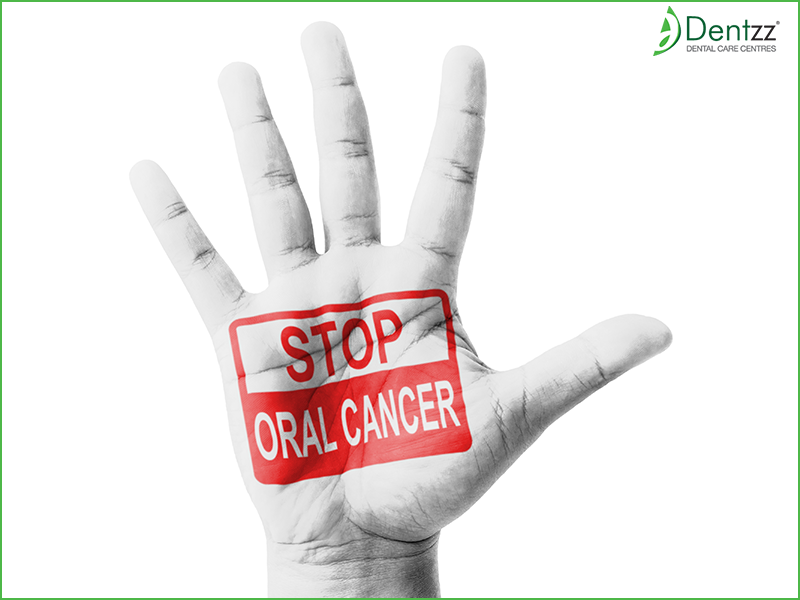 Oral cancer is one such life-threatening condition that begins as growth or soreness in the mouth, which does not tend to go away. It includes cancers of the tongue, cheeks, lips, mouth, hard and soft palate, sinuses, and throat. It can be life-threatening if not diagnosed and treated early. Hence, you need to visit the best dentist in Mumbai to get your condition treated. There are multiple dental cancer symptoms that can help identify the onset of the disease at the earliest. Those who tend to smoke excessively are primarily at a higher likelihood of developing oral cancer. Those who do not smoke yet consume tobacco tend to develop oral cancer. Such people tend to dip, snuff, or chew tobacco products that can lead to cancers of the cheek, gums, and lining of the lips. Sometimes, the excessive consumption of alcohol leads to the development of oral cancers. There are also a few HPV strains that are etiologic risk factors for Oropharyngeal Squamous Cell Carcinoma (OSCC). 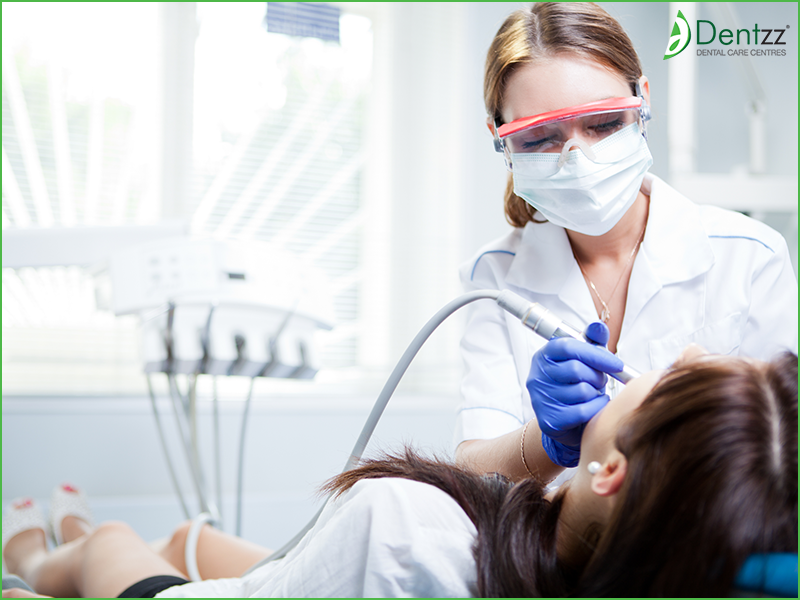 Cancer dentistry is a must for those who suffer from oral medical problems. At Dentzz we suggest an oral brush biopsy if we spot any ulcers in your mouth that look suspicious. The test is painless and tends to involve various small samples and tissues that tend to analyse it for abnormal cells. Alternatively, if the tissue looks suspicious, a scalpel biopsy may be required. The procedure may require local anaesthesia and will be performed by us. Visit Dentzz dental today and get tested by our skilled dentists to detect signs of oral cancer and learn ways to keep it at bay. There was a time when people used to visit a dentist only if they had to get a root canal or any other procedure. But that trend has changed today and more people are opting for regular dental checkups and cleanups. 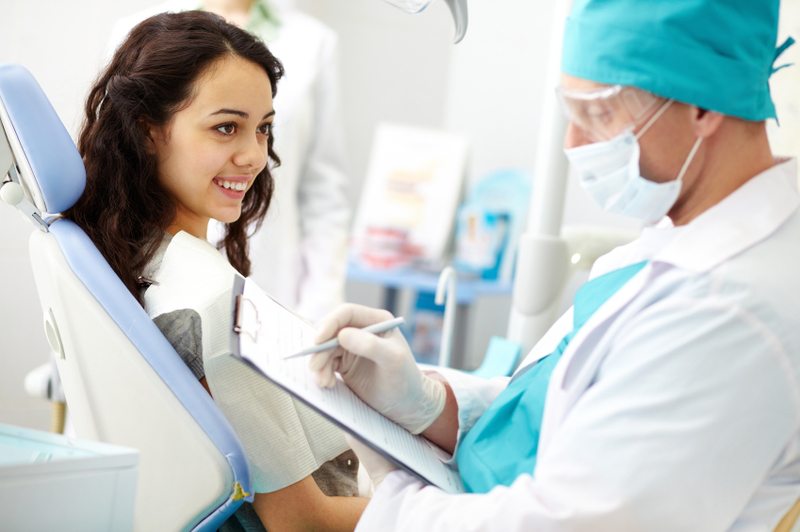 Before you head to the dentist, list down all the questions you would like to ask. Be it a bleeding gum issue, pain, sensitivity, soreness in your mouth, problems with brushing etc. any problem, big or small should be discussed with your dentist in detail and at length to understand and take proper measures. It’s the age of the internet but that doesn’t mean that your old pen and paper won’t do the trick. 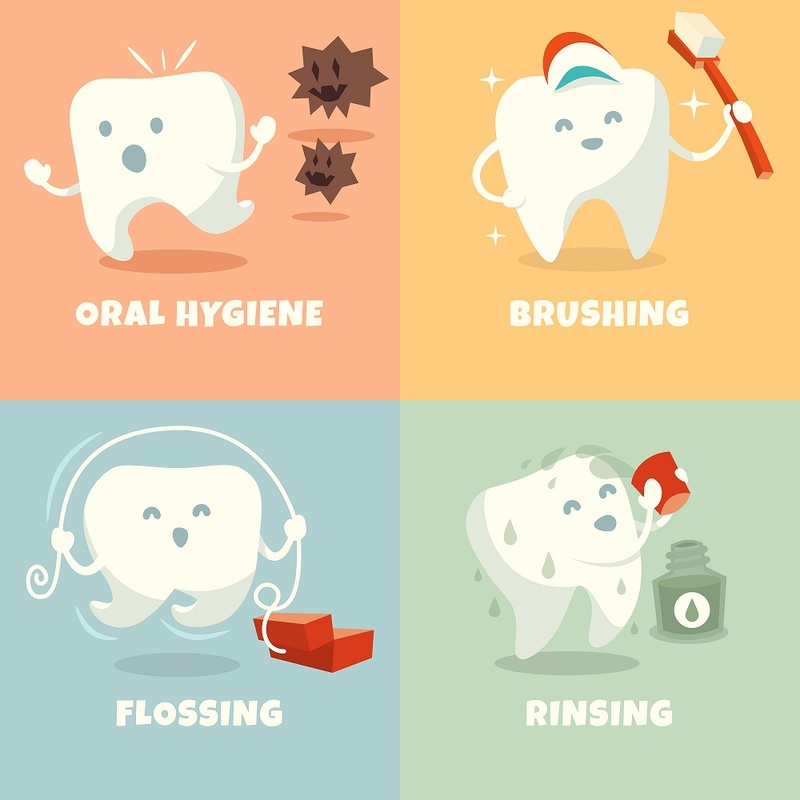 Many times our dentist tells us various ways to take care of our teeth, what to eat, what not to eat, what brush to use, what toothpaste to use, how many times to floss, but remembering all of this can be a little overwhelming. So take notes. It’s easier, it’s practical and if you miss out on something, you can ask him to mail you the information. Be honest with your replies. Your dentist is going to ask you a lot of questions related to your daily healthcare routine. Maybe it’s been over a week since you last flossed — don’t feel embarrassed to say it. 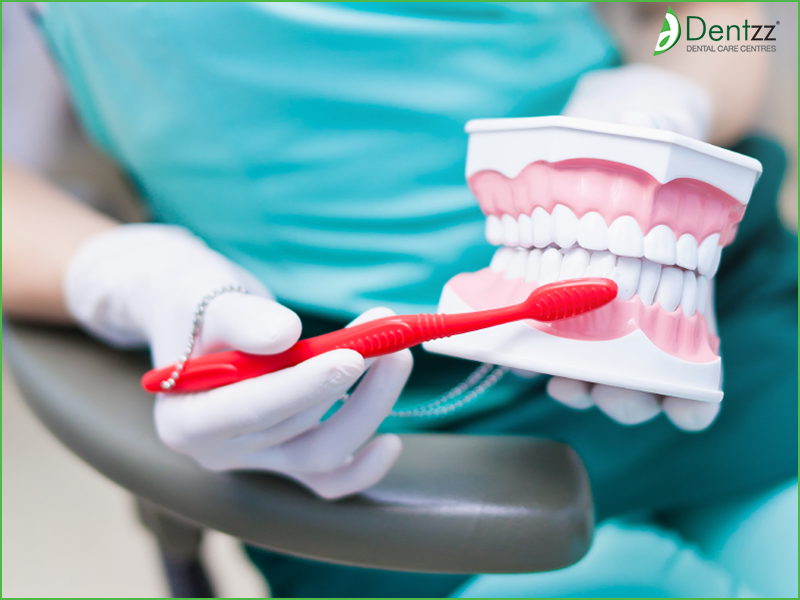 For the best care for your teeth, it is important that your dentist in Mumbai knows what kind of problems your teeth are facing and gives you solutions accordingly. Most of us want to be the ‘good kid’ in front of our doctor and put our brush into overdrive a week before. Do not do that. No matter how much you try, nothing will happen in a week’s time and you might actually end up hurting or damaging your teeth or enamel or even your gums. Always stick to your routine and let the dentist decide what needs to be done further. 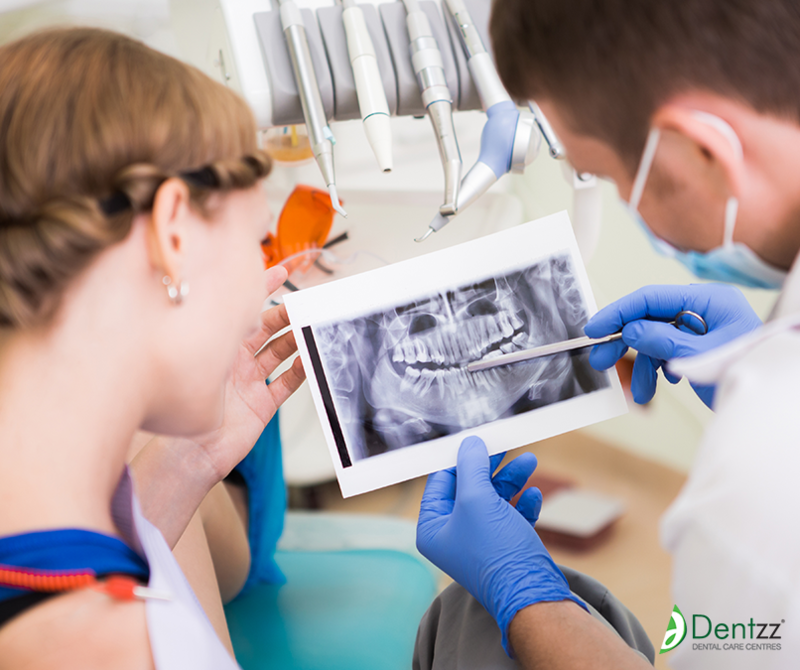 If you’re changing your dentist, make sure you bring in your dental records and history with you. It is important for any dentist to access your medical history before going ahead with any kind of checkup or major procedure like dental implants or cosmetic dentistry. So do not forget that bit. Make sure that you remember all these tips the next time you visit your dentist as it will help you and the doctor to work together to create a healthy and beautiful smile. In addition, it will be smooth ride not just for you, but also for your teeth. 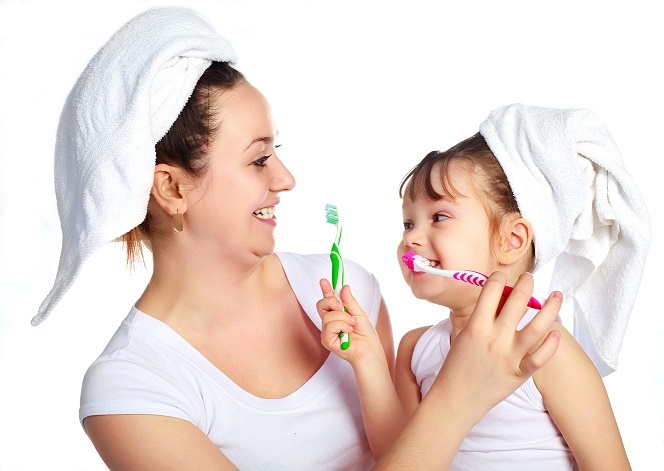 Like adults, it is important for parents to take care of their child’s dental care. You can keep your child from getting tooth decay by starting dental care early. Along with encouraging good habits like brushing twice a day, flossing and rinsing their mouth after eating, it is also important to take your kid to the dentist as often as possible. Regular dental checkups are important and kid dentistry is one of the most prominent sectors in the oral healthcare industry today. 1. The 2-2-2 rule works wonders in this case. Kids should be encouraged to do things in a playful way and you can emphasize on that by taking them to the dentist twice a year, making them brush twice a day and doing so for a good 2 minutes. The play way method certainly speaks with children and they are more likely to follow the routine once set properly. 2. Never ever put your child to sleep with a bottle of milk, formula or any food in their mouth. Even if it’s a small child with no teeth, you need to understand that it might hamper teeth growth and even cause dental problems in the gums and surrounding area thus making a weak base for the teeth to grow on. Also clean their mouth before putting them to bed. 3. Regular dental visits are very important for any kid. Even if your kid is afraid to go to the dentist, make sure you talk to them and explain how these visits will help them build stronger teeth and not cause any pain. You need to assure them that kid dentistry is not painful and usually involves a lot of good things that will make their smile more amazing. 4. The toothbrush and toothpaste that you use is very important. Your child’s first toothbrush should not be something that will leave their gums bleeding. Give them brush with soft bristles that bend and clean as per their sensitive mouth. Use fluoridated toothpaste and teach them to spit it out once they are done brushing. 5. Cut back on sugary juices, cakes, chewy chocolates and hard candies that tend to stick to the mouth. Do not be too strict about it though. 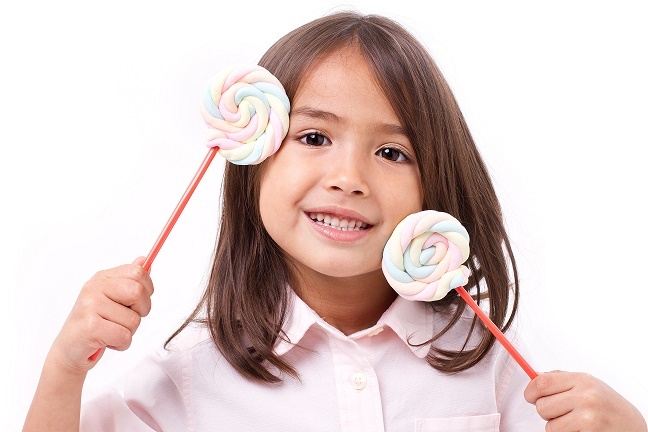 It is okay to have such treats once in a while but make sure your kids brush their teeth regularly. 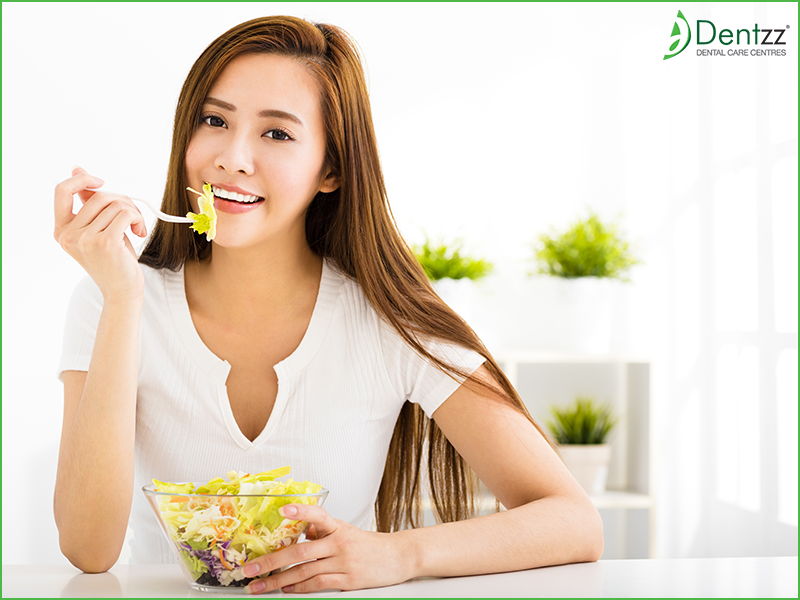 Also, increase the intake of whole fruits and crunchy vegetables like cucumber for children.